Part One "For what we are about to receive!" Kapitan zur See Matthias von Heinz, had been reflecting on how far he had come, from the upper nobility of the region of Bavaria around Munich, indeed, when his father passed on, due to become a Count, now, to a Captain, a commander of one of the glorious, grim, gray ships of the Kaiser's Navy. Matthias had always known why the navy existed; Because the Kaiser wanted it. But he did not think down on that at all.. The Kaiser was the Kaiser, after all, and as far as Matthias was concerned, his word was law.. They didn't need a damned Reichstag, anyway. Their annoying meddling in the fleet's budget had just hindered it's power. And the power of the fleet was important. The only thing Matthias admired the Tsar of all the Russias for was for dismissing that farce of a Duma before it could restrict his powers. Ah well.. Enough reflecting. The German Army could win wars wherever it could march. It could not march over water. Therefore, Germany needed a navy. It was a simple fact, and so they had built a navy. But it was rather like the Romans; Germans were not used to the sea, they were not professionals at it. They simply built ships because the Kaiser said ships were needed for Germany to be a great power. There had once been the Hanseatic League, but that was long ago. He was one of the men who's duty would be to forge German Naval Power. It reminded him of the Roman Empire against Carthage, this naval war, the Kaiserlacht Marine against the Royal Navy. And despite all the naval experience in the world, the very best.. Carthage had lost. Superior Roman military tactics had vanquished Carthaginian naval skill. So it would be, he thought and hoped, with Germany against Britain. The British were the better sailors, but Germans made better guns, Germans made better armour, Germans were the ones who were better trained, who would obey orders, who would not break and run no matter the cost.. Though Matthias knew that the tradition of the Royal Navy gave them parity there. As for orders.. Matthias was one of the 'Baron's Captains', so to speak. Perhaps the most eccentric of the lot. Other than the captain of Seydlitz, now deceased at Dogger Bank, the Battlecruisers had the Baron's Captains. Baron Letters wanted to fight the British, to force the decisive battle. Matthias was one of the relative few of the Battleship captains and Admirals who agreed. The admirals Necki, Rudburg, Hanzik, and perhaps four other captains of Battleships. The rest of the fleet was in Scheer's camp, really, except the dashing young officers of the Light Cruisers who thought themselves Gods. Gods in eggshells. Of course, the sortie had a purpose; To finish off the British Battlecruisers. 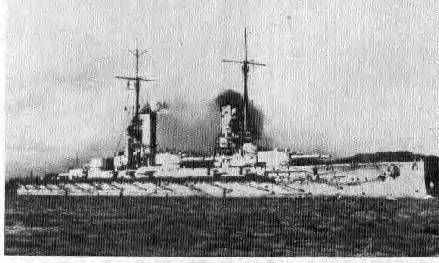 Scheer was confident enough now to use the First Scouting Group to lure the British Battlecruisers, itching for revenge, into range of the main guns of the Hochseeflotte. But they might not even be needed on this day. Somewhere out there, he knew, from the latest reports, the battlecruisers were engaging the Royal Navy... And, considering Baron Letters' performance in the battle of four months prior, Matthias doubted they'd need the assistance of the Hochseeflotte at all.. After all, four remaining British Battlecruisers were those ridiculous "I"s. Matthias thought that their "Cats" might duel fairly with the German navy's Great Cruisers, but the only use of the Is was to cowardly strike down older cruisers outside of the range of their guns. It was well known that Sturdee, 'victor', or was not butcher a better word, of the Falklands, was the commander of the British Battlecruiser force now. Matthias understood, of course, that war was war, and victory was all that mattered, but he still thought Sturdee's actions cowardly.. He hoped the Admiral would die today under the Baron's guns, and he would not mourn him, though when the day was done, he would offer a prayer for the other souls on those British Battlecruisers. At least they were soldiers, warriors, sailors, following the greatest traditions of the awesome navy which he now willingly confronted, and following a tradition of men in battle stretching back to Salamis. And so, he stood on the bridge of the Prinzregent Luitpold, his ship, his mighty, beautiful, deadly warship, and waited. With Scheer in command, he expected to see no action this day, though he wished the Grand Fleet might be forth... That battle would be one never to be forgotten, if it were ever to come to pass. Matthias smiled slightly, a rare indulgence. Here he was, thinking like Achilles or Agamemnon about the entire concept of battle.. And yet the nightmare that was becoming to be the Western Front was killing that concept forever. This would be the last war where there would be a chance for glorious combat.. And he already knew it would be in either on the sea, or in the dashing exploits of the "pilots" and their newfangled flying craft... He wanted to fight, in a battle where the men made the difference, before the machines replaced them all. Matthias had never spent much of his leave at home, when he was away from the navy. Instead, he had traveled.. All across the classical world, really, finding the sites of ancient battles, living history. He remembered an old wooden sailing boat, with a few oars, that he had chartered to take him out, to the site of Salamis, during one trip to Greece..... What an intense time it had been, to realize the battle and sacrifice that had gone on there, when the history of the world hinged in the balance. And it brought softer memories, as well, of a dalliance with a noblewoman of the Austria-Hungarian Empire.. They were still close, him and Katherina. After the war, if he survived, he would propose to her. But that.. That was in the future. For now.. There was just the wait. The smile fell from his face, and he looked to his XO, a sturdy, intelligent man, solid, reliable, even, but not the warrior poet Matthias fancied himself to be. Ah well.. They complimented each other, and the ship was the better for it.. Despite the only two Parsons turbines driving the Prinzregent Luitpold. Matthias didn't care if it was a diesel or not.. He just wished they'd damned well decided to power the third shaft of his ship. Ach well.. There was nothing that could be done about it now. Still, though he was glad to have one of the Kaisers, one of the more powerful ships in the fleet by far, though not to compare with the intimidating Konigs, which, despite lighter guns, were thought to be the equals of the Iron Dukes, he chaffed at having received command of a ship which hadn't even had the engines for it's central shaft installed! And so he waited, carrying out his duties on the bridge, as the Hochseeflotte steamed through the brutal, cold waters of the North Sea. The North Sea that had seen many victories by the accursed Royal Navy.. And more than a few defeats. It was an unforgiving sea for one so small. It was then, as his final, faint hopes of an engagement were fading, that a concerned lieutenant approached, saluting. "Kapitan.. We've intercepted a message from the Ostfriesland to Admiral Letters... Apparently Admiral Scheer has collapsed, and Admiral Letters is now in command of the High Seas Fleet, sir!" The entire bridge seemed the freeze in time, as Matthias looked intensely at the lieutenant, briefly confused, his XO speaking up.. "Sir.. Was not admiral.." He trailed off as Matthias held up a hand. "The sickness in port... Admiral Rudburg is on the Ostfriesland now... And that means.. Yes, Admiral Letters is most senior." Hope stirred in his heart.. He knew full fell how Letters felt about the matter of engaging the Grand Fleet. But what would happen? Could it happen? A battle between the lines? Not much chance, but, still... He smiled to the lieutenant. "Lieutenant, go to my cabin and fetch my saber.. I should like to wear it in battle, however pointless." The Lieutenant's eyes widened as he realized what his Captain was thinking. "At once, sir!". Matthias turned back to survey the scene of the North Sea, so gray, so grim... Such a perfect place for this bloody clash, then. And he waited... But with far more hope. He didn't have to wait long... At least comparatively. He saw it himself, through the binoculars, but it was so reassuring to hear it announced, as well.. "Sir, signal flags flying from the Kaiser... Form line of battle!" His sword, sheathed, now on his belt, he turned to his XO, and grinned, openly. "So it begins.... We have our orders.. Prepare the ship for battle!" Though the ship was already prepared.. They had been all that day, he had to say it again.. He wanted to be sure. Everything had to be perfect about this.. He knew what the Baron would do.. There would be no turning back. In the fading light of the North Sea, they would meet the Grand Fleet in battle. Briefly, he closed his eyes, and thought of the men that would die.. It filled his heart with sadness. But at least they would fall here, fighting.. Not pining away, or rotting away, of illness on shore, or old age. Tonight, he knew, many sailors of both fleets would be forever young, in Neptune's grasp for all eternity. And then he pushed aside those melancholy thoughts.. And prepared to fight. The Lines of Battle were drawing closer, he knew, he could feel it, despite the dimming light, the darkness of the mists of that gray North Sea... It was only a matter of time.. And not very much time, at that, before the lines would clash. Minutes had past, minutes upon minutes of tense waiting after they had formed the line of battle.. The ship was ready, now. The gun crews were eager to prove themselves against the English, hell, everyone was down to the lowest stoker in the bottom of the ship. They were eager, like the valiant Greeks of the myth of the Trojan War.. Heroic legends, he knew, would be made this day, also... And so would many, many watery graves. Time would tell to which, or perhaps both, his crew would belong. Either way.. He would never have a regret. He looked at the clock mounted on the bridge.... 6:48 PM. He suddenly heard the thunder of big guns, the clearest, the loudest, he heard that day. His XO, it could be said, had the ears of a dog. Not in shape, nor even with those funny relations between shapes that people sometimes made, that Matthias never figured out, but in terms of his hearing.. He was excellent at telling apart sounds. "Sir.. That's multiple ships.. And some larger guns.." That grin was there again. He trusted that information... The Konigs had engaged, then. "Pass the message to the crew, then.... Tell them that we are about to enter battle, and that every man is to do is utmost; In the name of his family, his Kaiser, and the Vaterland! The honour and glory of Deutschland rests upon them today.. And the respect of the nation shall be their's if they can defeat the English at sea!" He turned to the lieutenant, the same one who'd brought him his sword, and informed of that glorious news; However unfortunate Scheer's illness was for Scheer, Matthias had to admit he was pleased with it, as long as it was no more serious than to take him out of action long enough to make this battle the Baron's. However.. There was a greater concern of his he wanted dealt with now. Night was falling fast, and fires would mean visibility.. For the Prinzregent Luitpold AND the Royal Navy... And his ship's decks were strewn, well, it wasn't that bad, but he thought of it that way, with wooden boats by the midships turrets. "Lieutenant.. See to it immedietly that all the ship's boats are jettisioned! I don't want any fires on deck lighting up our ship." The lieutenant saluted and hurried to obey, as his XO turned to him with a curious expression. "Is that really necessary, sir?" Matthias smiled, and shrugged slightly. "Better to be to safe than to let the fires from those boats kill us all... If I get any complaints about it when we return to Wilhelmshaven, I'll pay for them out of my own pocket." The message spread through the crew, the words of their Kapitan spread to the men at every post in the ship... They could hear the rumble of the guns, as well, and the air was fraught with tension.. Dispelled by jokes, and insults or such aimed at the British.. The junior officers did nothing to dispel those.. Captain von Heinz always wanted his crew in a fighting mood, though he preferred the concept of honourable engagement and respect; His crew did not really follow that, mostly. Though many were such dreamers, thinking of glories to be had, many were not, signing on for the pay or to avoid the hell that the army was becoming. Still, the spirit spread from the top down, the infectious desire to engage the British, to beat the British, to prove that the Royal Navy had ruled the waves long enough. All over the Prinzregent Luitpold, men tensed. Battle was but moments away. Made all the more evident, to those that could see, by the hasty organization of parties to haul and shove the small wooden boats over the side, and the use of the crane for that, as well. The smarter ones were reassured by that precaution, especially the NCOs, who knew in the fading light what fires on a ship could mean. The ones confused by it were quickly told the meaning, and that served to reassure them all, as well. Just minutes, now.. Just minutes. Out of the gloomy darkness blossomed the explosion of Ajax. Matthias was stunned, but heard a ragged cheer from some of the crewers at stations near the bridge.. Incredible... A battleship exploding like that... Then.. The shouts of his lookouts had reported it, and Matthias had strained with his eyes to see it.. One lookout calling out "Orion class!" as Matthias brought up his binoculars to look, and at the same time, bellowed the order. "Commence firing... Half salvos... Target, Orion class Battleship illuminated by enemy magazine explosion!" In his excitement, he didn't even bother to search down the line of British battleships for the third in that squadron to engage... He just gave the order, the glorious order, to open fire, to draw enemy blood. And so the turrets fired, two at a time, against that target, illuminated by burning wreckage, of a dead ship and dead men. A second explosion, from a flaming target ahead of the one they had been firing at.. Another English battleship, lit up the night abruptly, again. Matthias couldn't believe it.. Another ragged cheer, like the first, quickly, hesitantly cut off, was given by the crew.. They were hurting the English beyond their wildest dreams, and they had not even yet been hit once! Matthias looked intensely to their new target, just as the guns bellowed.... Matthias thought he could faintly see the shot falling short, but close. The second half salvo fired. Seconds, maybe less time, ticked by, as he watched the target. And suddenly there was a gout of fire from one turret... The second turret. In a space of time barely registrable to the human mind, afterwards, a blanket of white washed over his vision, blinding him for a second or so, until, blinking, his eyes recovered, as, moments later, the thunderous roar of the magazine explosion, drowning out all the sounds of the ships firing, reached him. Where once had been an Orion class Battleship, like the first they had fired at.. Was now wreckage, flames, an explosion, rising smoke. His XO's mouth had dropped open briefly. Even Matthias was stunned. One hit... One hit... And he had destroyed a British Battleship. The passion, the glory of the moment seized him, and he drew his ceremonial sword, raising it high, and let out a cheer.. With their captain leading, the entire bridge crew cheered like madmen for a moment, and, indeed, starting of its own accord, in other places of the ship, the cheer spread, until every man was cheering, even down to engineering, where they didn't even know what they were cheering about. The moment could last forever, he thought, but quickly the euphoria fell.. For all of them. He realized, that at the same time he had won a stunning personal victory for himself, his ship, his men, he had snuffed out the lives of over a thousand others, of another captain, with desires and duties and a life, all like his own. It was a sobering thought, indeed. Embarrassed, he sheathed the sword, and cleared his throat. "Shift fire to new target.. Gunner's discretion!" And then he paused, and gave the other order.. "Pass the word along to every man... We've destroyed an Orion class Battleship with one shot. Let them know what they cheered about!" And so they fired.. Unhindered. In the gloom, firing at targets not in line with them, it was harder to see if they were scoring hits on their new target or not. Even so, the fact that they had already killed one battleship pleased Matthias as much as it saddened him for the deaths of that crew, that other captain. He was doing his duty for the Kaiser, and he was fighting the battle of a lifetime... The time for reflection would be later... For now, it was time to fight, without fear of death, with only hope of victory, a hope which seemed to grow every minute, lifted to incredible heights among every man of the crew of the Prinzregent Luitpold as the announcement had traveled through the ship of their stunning success. And for six minutes, the battle raged around them, and yet they were untargeted.. Untouched, indeed. They had killed one battleship and not suffered for it, and they fought on, determined to inflict as much damage on the British as they could. Kapitan zur See Matthias von Heinz was pleased, incredibly so. No, honoured, by the bravery, by the spirits of his crew. They were in the greatest naval battle of the century, definitely, surely the greatest naval battle in the history of Germany, even considering the Hanseatic League.. Perhaps the greatest naval battle of the millennia. Matthias thought of Salamis.. And realized this was what it was like. To be an inferior, outnumbered force, beating, wiping out a far superiour, numerically, force, by tactics and bravery alone! And, too, he was proud of ship... Indeed, at this rate, he might as well have never ordered the jettisoning of his ship's boats.. Despite lacking any engines on the center shaft, the Prinzregent Luitpold was performing incredibly. All around them the battle raged, the firing of the guns, the flashes from the muzzles as they spat shells at the enemy, and the sounds of the enemy guns firing, the muzzle flashes as they, too, fired back at the German line of battle, the sounds of shells crashing home on other ships, of explosions, the sight of them. It was a brutal thing, but distant, as the Prinzregent Luitpold fired without being fired upon. Only the roar of her own guns was truely deafening. His XO had quickly recovered his spirits, and now asked him an unusual question.. One that brought a smile to Matthias' face as a brief lull in the fighting seemed to begin, the forward squadrons of the Grand Fleet simply decimated, and in no small part by a single shell from his ship.. "Sir, if the wing turret is taken out, shall we request permission from Admiral Necki to swing the ship around and run in the line of battle in reverse so as we may engage with our other wing turret?" Matthias, already knowing that joke, still laughed anyway. It was good, to clear up the still euphoric shock of having killed an Orion with such ease. The joke had begun, because, after all, Prinzregent Luitpold often had trouble keeping up, thanks to having only two shafts powered.. And that was when traveling forwards. In reverse, trying to keep up with the rest of the battleline on only two shafts... It was amusing, no matter the circumstances! And then came a cry from the lookouts. "Kapitan.. Signals from Kaiser! Passing a message along from Admiral Letters... The line of battle is to slow to fifteen knots, sir!" Matthias grinned.... The Grand Fleet was already traveling a little faster, and as they slowed, it would allow them new targets to the aft... So much the better, with the forward squadrons of the Grand Fleet decimated. So much the better, indeed.. They would stay in the battle, and keep on fighting to the conclusion. It was by no means over, and with considerable ammunition left, crews ready, eager, and excited by the stunning success against the ship Matthias now guessed was Conquerer, the Prinzregent Luitpold was ready to fight on, and keep on fighting. And so the order was given to the engineer... "Slow to fifteen knots!" And he added orders to that.. Thinking ahead, always thinking ahead.. Always ready... For the meat of the battle, that was yet to come... He just spoke it, trusting someone to carry on the orders. "Make sure the broadside torpedo tubes are ready for firing.. And the same for the secondary guns. We might face a light ship attack soon, or we might end up closing to a range where we can use both.. Either way.. We must be ready.. For the glory of the Vaterland and the Kaiser!" As he finished, he grinned again, and waited for the tides of battle to again increase in fury. em>Images courtesy of Warships1.com. Used with permission.